The world of streaming music over the past decade has exploded, with dozens of companies offering competing services that all want to be your one and only source for tunes. But with the increase in all this choice, the process of figuring out what to listen to can be an unnecessary obstacle to our enjoyment. A Parisian company created Prizm to facilitate the process of personalized music curation. The slick product connects to existing speakers through Bluetooth, optical, or a 3.5mm wire, and provides an interface to not only discover new music, but instantly sync your favorites to your playlists with a simple press of a button. Prizm is clever, too: its contextual approach adapts to not only who is in the room, but the kind of atmosphere as well. If there are just two people present, it combines their tastes and plays a song they both enjoy. If there are 15 people present, the acoustic sensor will recognize the ambient noise and play something more suitable. Compatibility with Spotify, Deezer, and Soundcloud will ensure all users are represented with more services on the way. Interested backers can grab their very own device $129. These ideas have pushed the company towards their $70,000 goal. The product that most closely resembles Prizm is the Aether Cone, but upon comparison the differences are stark. 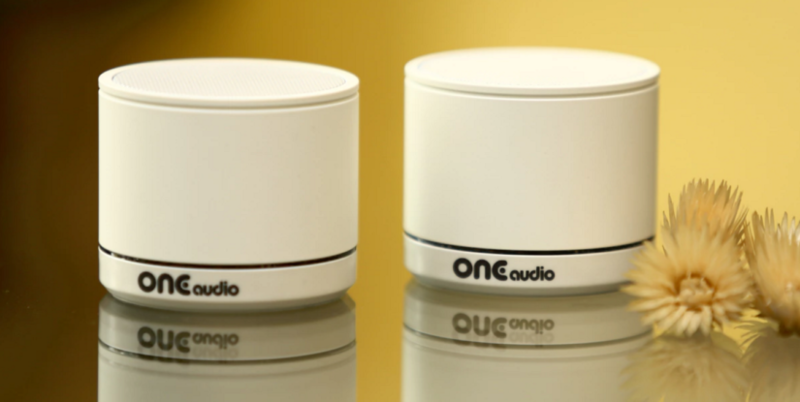 While the $399 Cone boasts a decent speaker to directly play the music you want, it is more of a streaming radio device. On the other hand, Prizm contains many more features allowing users a lot of personalization– even a friend’s Prizm will recognize who you are and adapt to your taste! This level of personalization and interconnectedness is impressive, even if it may tread very closely to the many privacy concerns up in the air these days.